We specialize in supplying and assisting the customer with membrane plants for desalination and water treatment, and chemical products used for cleaning and maintaining plants. We propose ourselves as a reliable and specialized supplier for naval application, for the Navy and for the industrial field, we offer innovative and custom designed products, together with a high level of service. Thanks to our highly specialized technical and commercial staff, we are able to support our customers in the planning stage and also in the preparation and installation stages, guaranteeing quick technical assistance services and maintenance and repairing services in Italy and worldwide. One of our most relevant assets is our workshop, equipped with mechanical, electric and electronic departments and also a testing facility where overhauled components are tested. Specific courses for plants operators and plants maintenance are organised periodically at our offices or at our customers’ and military agencies’ locations. On-board their naval units, both surface and submarines, the Italian Navy, as many others countries’ Navies did, chose Rochem Marine as their main supplier of desalination/conditioning, demineralisation, sewage and waste waters treatment plants. Thanks to Rochem Marine’s experience and technology it is possible to satisfy all mandatory technical requirements of combat Units, such as reliability, shock resistance, EMC low, airborne and structure borne noise emission levels, a-magnetic design, maintainability, logistic support, etc. Rochem Marine’s technical support is, also, of fundamental importance in guaranteeing full operability of all the vessels of the fleet in all the theatres of operation both in Italy and abroad. On modern passengers ships, it is already a well-established procedure producing on board all the water that is needed. Depending on the type of ship, the daily water requirement for each passenger can be up to 400lt/day for drinking water, showers, swimming pools, hydro-massages, bathing, etc. and, considering that the number of passengers on-board can be in excess of 4.000 units, we can expect a daily usage of over 1600/m3 per day. Obviously the quality of water and the reliability of equipment are a priority. Large cruise ships are often operative for more than 300 days a year and sail in very different environments each time, from the poles to the equator, on seas, lakes and rivers, in waters with very different features each. The Mega Yachts sector experienced a remarkable expansion in recent years, due to the increment of number of units built and to the constant increase of vessel size. In addition to supplying Reverse Osmosis desalination plants, in order to satisfy the ship-owners’ growing awareness towards environmental issues, Rochem Marine developed highly compact water treatment systems capable to achieve the best performances while allowing the safe discharge overboard of environmentally sound treated waters that fully comply with all the strictest international laws (IMO/MARPPOL regulation). n the planning stage it is possible to fit the plants in the ship spaces studying with the shipyard’s technical department the best solutions for each of the different features that may be present. The manufacturing of water on-board special ships such as Off Shore Platform Oil Rigs, Living Barges, Live Stock Carriers, Research vessels, etc. is essential for the efficiency of the naval vessels. Ships operational areas are often very difficult environments, due to extreme temperatures, shallow seabed, or man-made water pollution. In these cases the strength and reliability of Rochem Marine systems is paramount. Furthermore the environmental impact in operational areas is increasingly being taken into high consideration. Rochem Marine sewage and waste waters treatment systems offer the global solution for the management of on board waters. On board naval vessels takes place the full cycle of the production, distribution, usage and final treatment of waste water, which is of great importance for the efficiency of the vessel and the wellbeing of the crew. The sea is, at the same time, both source and final discharge destination of what is considered the most precious asset for life at sea: water. Rochem Marine, thanks to its twenty years’ experience in desalination, demineralization and Black & Grey waste waters treatment, is one of the companies in the world that builds, markets and services the most up-to date and efficient complete water processing plants. Rochem Marine plants fully comply with all the strictest international military and civil laws. The sea is, at the same time, both source and final discharge destination of what is considered the most precious asset for the life at sea: water. >On-board their naval units, both surface and submarines, the Italian Navy, as many others countries’ Navies did, chose Rochem Marine as their main supplier of desalination/conditioning, demineralisation, sewage and waste waters treatment plants. Thanks to Rochem Marine’s experience and technology it is possible to satisfy all mandatory technical requirements of combat Units, such as reliability, shock resistance, EMC, low airborne and structure borne noise emission levels, a-magnetic design, maintainability, logistic support, etc. Obviously the quality of water and the reliability of equipment are a priority. Large cruise ships are often operative for more than 300 days a year and sail in very different environments each time, from the poles to the equator, on seas, lakes and rivers, in waters with very different features each. In the planning stage it is possible to fit the plants in the ship spaces studying with the shipyard’s technical department the best solutions for each of the different features that may be present. >Ships operational areas are often very difficult environments, due to extreme temperatures, shallow seabed, or man-made water pollution. In these cases the strength and reliability of Rochem Marine systems is paramount. In order to meet the needs of the modern Navies Rochem Marine developed containerized mobile systems for desalination/drinking water treatment plants and sewage treatment systems. Depending on the type of mission and on the operational theatre the type of feed water can change entirely. Therefore plants must be capable of working in extreme weather conditions and with very different types of feed water. It is in situations like these that the flexibility and the strength of Rochem Marine plants become vital features. Drinking water is a primary need, and Rochem Marine plants always assure the potability of their final products, with great reliability and duration in time. 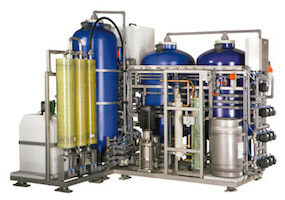 For sewage treatment Rochem Marine studied and developed the membrane bioreactor (Bio-Filt®). It is a very compact and highly efficient system capable of treating every type of water and generating environmentally sound waste water that can be safely discharged overboard without any further treatments. From more than twenty years Rochem Marine has been present in the field of industrial waste water and landfill leachate treatment. In the industrial sector there are plenty of possible applications for Rochem Marine membrane systems. As a matter of facts, through the years, different kinds of modules with different configurations that can be installed depending on the type of required use have been developed and patented. Based on the analysis of the fluids to be treated it is possible to make a general estimate of the economic impact. Particularly in the field of landfill leachate treatment, in Europe, North and South America, Asia, Australia, China, etc. there are Reverse Osmosis plants that have been functioning for many years and that are in full compliance with the strictest international laws concerning waste waters discharge into surface waters. Thanks to Rochem Marine technology it is possible to combine the quality of the waste water with the reduction of treatment expenses. We design and manufacture a wide range of different plants in terms of water production (from 30 to 250 m3/day) and the correct type can be determined depending from the various needs. To eliminate any installation and management problems a containerized solutions is available, completely automated and with remote control. With particular attention to environmental issues, thanks to research projects developed in partnership with the University of Hamburg, we succeeded in creating membrane plants capable of ensuring that environmentally sound wastewater can be safely discharged overboard without any further treatments. Rochem Marine plants fully comply with all the strictest international laws concerning waste water discharge into surface water. 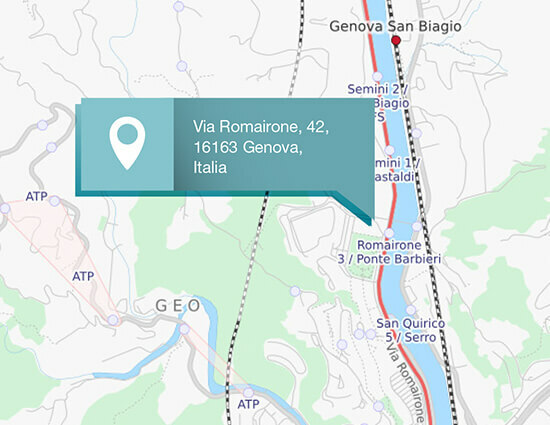 Rochem Marine Srl developed and installed desalination systems for small communities, resorts and hotels. All the materials and components are of the highest quality in order to guarantee reliable and long-lasting products. For over twenty years Rochem Marine has been active in the field of leachate treatment and the recycling of industrial waste waters. Reverse osmosis is one of the most effective, cheap and reliable systems capable of guaranteeing waste waters of a purity comparable with drinkable water. Rochem Marine is a leading company in Europe and in the world in this technology with more than 300 plants built. 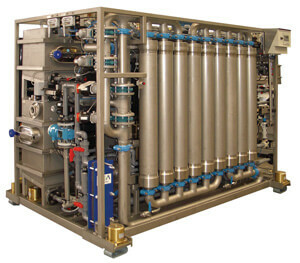 The patented membrane bioreactor Rochem Bio-Filt® has been mainly developed for waste waters treatment on naval vessels and, thanks to its compactness and high efficiency, can be also employed for some particular functions on land, such as containerized mobile plants and special plants for landfill leachate and industrial waste water treatment. It is the sale of and the assistance with membrane systems for water production and treatment. Unlike almost all of its competitors, Rochem Marine plans and develops all its systems using patented technologies and components. In over twenty years of research and development Rochem Marine created membrane modules with different configurations for Reverse Osmosis, Ultra filtration and Microfiltration. Fields of application are desalination, water conditioning and water treatment. Rochem Marine is one of the few companies in the world capable of offering a full range of specific products for the complete management of water.